If you prefer to have us contact you, please complete the fields below and we will respond within 48 hours. We look forward to hearing from you and welcome you to call our office during normal business hours. 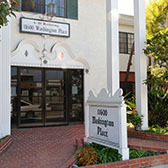 Our law office is open weekdays from 9 a.m. until 6 p.m.